Wellbeing is the subject of increasing attention from policy makers and Parliamentarians, says Lisa Ollerhead of the Analysis and Insights Team in Cabinet Office. The 2012 Olympics and Paralympics were a great success for our athletes. But what difference did they make to the rest of us in the UK? Advances in the measurement of national wellbeing, led by the Office for National Statistics, are starting to shed light on questions like this in new ways. 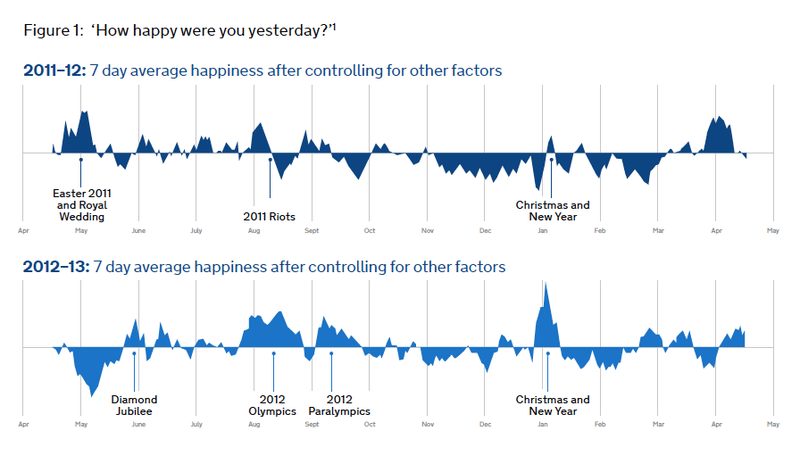 For example, the chart at Figure 1 shows levels of happiness – measured by answers to the question ‘How happy were you yesterday?’ – over the period 2011 to 2013. We can see interesting patterns in the data with positive effects around the Royal Wedding, Diamond Jubilee, Olympics and Paralympics. It seems they make us happier. Like a lot of the national wellbeing measurement, this is at an early stage: only two years of experimental data. In future, longer time series will support more robust analysis. But already these results are suggestive of the sorts of questions we could ask. For example, we can start to see the evidence that bank holidays are probably good for the country’s wellbeing – but with a few more years of data perhaps we might start to see patterns of which bank holidays are the best, and even consider whether it might be better to move a bank holiday into early winter, when the nights are drawing in and we’re feeling low. The Wellbeing Policy Programme team in the Cabinet Office works with colleagues across government, particularly the Social Impacts Task Force (made up of analysts from across Whitehall and the devolved administrations), to improve civil servants’ awareness of and ability to use evidence like this. A growing body of research suggests that evidence about wellbeing, or the quality of our lives, can be factored into a wide range of decisions and support better policy-making. Advances in the measurement of wellbeing are enabling this to become a reality. This isn’t about Government deciding that it’s going to make people ‘happy’. It’s about supporting the important life decisions and choices of individuals. Ten years ago only a few countries in the Organisation for Economic Co-operation and Development (OECD) were measuring wellbeing. Now, most are. As one of the leading countries in a quickly developing field, the UK is both supporting and learning from the excellent work of international organisations such as the OECD and individual nations as the focus moves beyond measurement to policy and practice. Following this speech, the Office for National Statistics worked first to understand what people mean by ‘wellbeing’, and then to measure it. The framework they came up with includes both objective measures, like employment, life expectancy and levels of crime, and subjective measures, like how citizens actually experience and feel about progress. This includes measures such as job satisfaction, satisfaction with health and fear of crime, but also subjective wellbeing – how we feel about life in general. The academic literature on subjective wellbeing has grown rapidly over the last ten years and there is a strong evidence base on what makes people satisfied or dissatisfied with life. This literature challenges a lot of our assumptions about what improves wellbeing and why. It shines a spotlight on social relationships, neighbourliness, personal choice and control, empathy and kindness, and altruism. Thinking about what drives our wellbeing opens up exciting new avenues for policy and implementation. Analysing the data can be insightful and engaging – here are a few other examples. When you chose your career, did you think about how happy it would make you? Or did you focus more on what you might earn? 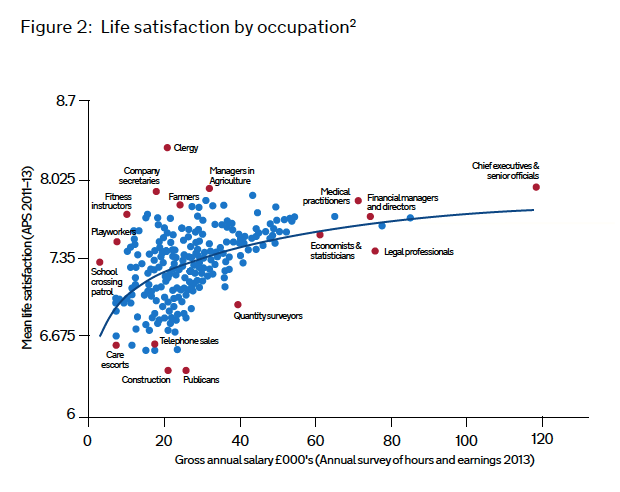 Figure 2 shows the results of research looking at levels of life satisfaction for people in different jobs, plotted against typical earnings. While highly-paid Chief Executives and senior officials do well, take-home pay doesn’t seem to be the only important factor. Occupations like publicans and members of the clergy, which have similar income levels, seem to have very different levels of wellbeing. At an individual level, research tells us much about this. It has been estimated that between a fifth and a quarter of the variation in overall life satisfaction amongst employed people is explained by being in work. And it is fairly widely known that people are happier at work when they feel engaged with what they do, when they like and trust their managers, when they have secure and interesting work, and when they have some autonomy in how they do it. Wellbeing data can help to capture the impact of policies and tell us about what is working or not. 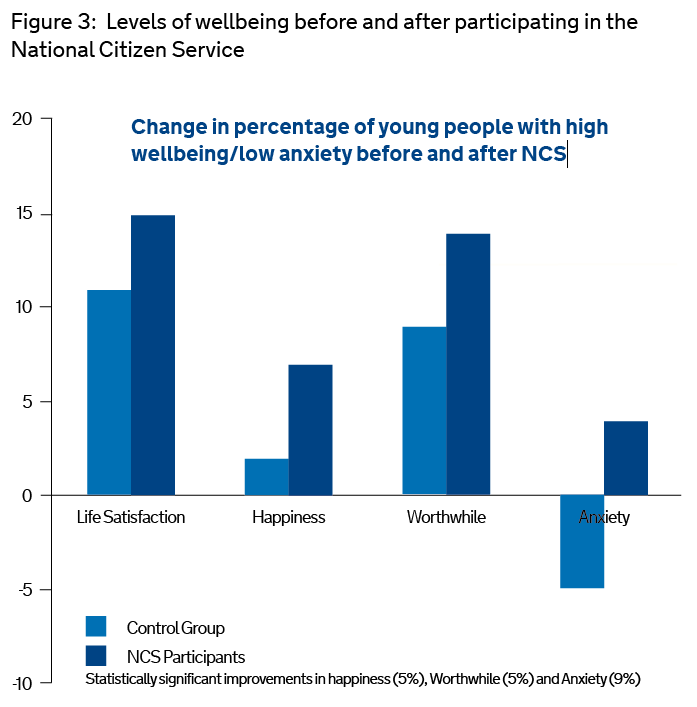 Figure 3 is from an evaluation of National Citizen Service (NCS), a programme for people aged 16 or 17. It shows that completing the three-week programme of activities, personal development and social action improved participants’ wellbeing compared to a control group. Analysis indicates that participants’ levels of anxiety were still lower than those of the control group a year later. Why might NCS have such a great impact on wellbeing? We have some ideas. In 2008 the Government’s Foresight programme, working with the New Economics Foundation, identified five ‘ways to wellbeing’ – things people can do that seem to make them happier. The research found our wellbeing is improved if we connect, are active, take notice, keep learning, and give (you can find out more at www.fivewaystowellbeing.org). NCS includes aspects of all five, and shows how we can actively design them into other services. For example, building opportunities into public services for peer-to-peer advice and support helps people connect and give. This can build wellbeing without sacrificing other key objectives. Using ideas like this, it’s not only analysts who can take advantage of the wellbeing evidence: anyone can ask questions about how their policy choices can maximise wellbeing. The NCS evaluation also shows that subjective wellbeing questions can capture, in a consistent way, the social impact of interventions. They can be a valuable and efficient tool for policy makers, service designers and charities to convey the value of their work to commissioners and sponsors who need to make decisions on how to spend public money. Knowing the wellbeing impact of interventions could help to choose between projects that have very different ways of improving lives. There’s much more to do to improve our understanding of wellbeing evidence across Government and to raise awareness of the new opportunities that arise from using it to design policies and services. It’s not about opposing growth, or replacing our traditional economic markers of success like Gross Domestic Product (GDP). Wellbeing is something new: an additional tool that civil servants can use in their work. In future the Government will know clearly the wellbeing impact of our decisions. And civil servants will be deliberately designing policies, operations and services in ways we know can increase it. Wellbeing isn’t fluffy and soft, or a ‘nice-to-have’ when times are better. It is measureable and well defined. The data reflects the real experiences of citizens, communities, employees, the unemployed, patients and parents. It reflects what really matters to us and reveals how we are progressing. This makes it an invaluable resource for us all. How can you use it? If you want to know more about wellbeing data and how you can make use of it to improve policy and services, you can contact me at: lisa.ollerhead@cabinet-office.gsi.gov.uk. wellbeing=income=wellbeing. Simple. More brainwashing by an increasingly chattering class civil service to sanitise away huge inequalities of income. Anyone with a basic understanding of the Maslow triangle knows that self-actualisation (happiness) can only be reached when basic subsistence standards have been met. Comfortable income provides the opportunities to enjoy life (refer figure 2). Maybe you should ask a long term unemployed person living in an urban area with absolutely no prospect of work how they feel about their life in an age of austerity. Until economic growth is more evenly distributed you as might as well forget about this analysis. Its good to know that the wellbeing factor is being looked at. However we need to determine what it is exactly we ontologically mean by wellbeing. To me, it is 'being well'. To others it may mean very different things. If the focus is on being well, then we have to consider such things as health itself, diet, exercise and stress levels. Worrying about earning enough to keep a roof over your head, putting food in your children's mouths and avoiding losing your job certainly affects your being well, your diet, your exercise and certainly your stress levels. Therefore I would suggest that perhaps we are asking the wrong questions of the wrong people. I would suggest that job satisfaction, meeting challenges and maintaining a certain level of fitness might apply to those earning over £50k per annum (pending the size of their mortgage repayments and family members). For those earning under the £17k per annum, I believe their focus on being well is having enough food, not being homeless and keeping well enough mentally and physically to keep themselves from going under or under a bus. I am delighted the Government is looking at the well-being/happiness/contentedness factor of its Citizens and employees but I doubt a one size fits all approach and analysis is the answer. Perhaps the National Statistics might need to go back and check the figures with end-users present (i.e. a homeless person, a businessperson, a single parent and a single person (no partner & no family). I would also suggest regional statistics rather than national or cluster statistics over national. Hope this helps but I am delighted to hear of this initiative. Good luck! Hi Charlotte, thank you for your great comment! You’re right that ‘wellbeing’ is a really broad concept, and everyone has their own ideas about what it is and how to measure it. There’s no perfect or ‘right’ answer, but the wellbeing framework that we work with was developed by the Office for National Statistics based on a sizeable public consultation, and it’s comprehensive; it currently includes 40 indicators over 10 domains and brings in things like income, the economy, health, education, the environment, and community life. It also includes the personal wellbeing questions about happiness, anxiety, life satisfaction, and people’s sense of the worthwhileness of their life activities. The data are available at local, regional and national levels and the ONS is analysing and publishing new analysis regularly: you can find out more about the measuring wellbeing programme, the methodology, and the latest publications at the ONS site if you follow the link in the article. The third year of data against this framework will be available later this year – we definitely agree that analysis is the answer and we’re developing this understanding all the time! Hi Anne, thanks for commenting! Civil servants are included in this data, but from the Annual Population Survey rather than the People Survey. We’re looking at the moment at creating a tool that would let people compare different professions, including the civil service. You can look at some of the results of asking these questions in the People Survey on http://www.civilservice.gov.uk/about/improving/employee-engagement-in-the-civil-service/people-survey-2013 (download 2013 Civil Service level results by demographic groups (pdf)) and we’re exploring ways this data could help target programmes to improve staff wellbeing. I agree that income is only part of wellbeing; but it's a very important part. Income inequality, and local councils' ability to deliver public services, have serious effects on residents' wellbeing. Closures of libraries, youth services, reduction of care services and transport services — these all have an impact on residents. As somebody on the front line dealing with residents who cannot pay their rent, and whose private landlords want to remove council tenants and hike up the rent still further, I fear that lack of attention to the income element of wellbeing will cost the NHS and other public services more money in the long term. this comment is for lisa ollerhead. I have just read the story in todays mail about shifting one bank holiday from the summer and placing it in the winter. listen . lisa . what we want is MORE BANK HOLIDAYS! leave the summer ones alone and give us an EXTRA bank holiday or three in the winter. Hi Dave, thank you for your comment! I’m afraid we don’t actually have the power to add more bank holidays – although that would be nice! And we haven’t made a proposal to move any of them. It’s just an example of the kinds of thinking and ideas the wellbeing data can lead us to, which otherwise we might not think about at all. Please don't pursue the option of moving one of our spring Bank Holidays to sometime into the Winter months in a bid to spread the 'happiness' throughout the year - this is does not sound like a commonsense solution. If I have a bank holiday I would rather have it when there is more chance of good weather and the days are longer. Not many people look towards venturing out when it is cold, dark and raining. Hi Ian, thanks for commenting! This is a really interesting point, as the analysis on bank holidays here isn’t controlled for weather. When we have the few more years’ of data mentioned in the article – which will sadly but probably inevitably include some wet bank holidays! – we’ll be able to add these factors into the analysis and build up an understanding of what it is about bank holidays that makes people happier. It might be enjoying some good weather, or it might be the chance to spend more time with friends and family, which might lead us in different directions again. Perhaps every 5 years or so, for a period of 6 months, everyone of working age should be forced to live on a single person's JSA and benefits - wellbeing is hard when the fridge is empty, you have to deal with so-called safety net providers, the job centre is 12 miles away, and there's no scheduled public transport. If you're lucky enough to get a job, probably not permanent and below your skill level, you get a low wage and the cost of travelling can be 33% of your take home pay? I agree with Anne . A most intriguing and commendable area of work and research. I think we should be deeply interested in what makes us happy as a proxy indicator of worthwhileness as opposed to futility of existence. There are some interesting points that seem to say a lot about what the nature of happiness and our expectations for it. I think royal weddings, jubilee celebrations and Olympics are more about feelings of euphoria rather than true happiness. Sure many enjoy those occasions, the spectacle and the success. etc but they lack substance overall to make a difference to most people's lives and it quickly evaporates so not a very ambitious or reliable gauge to what people really feel. Something more than navigating through life as best we can and having the odd fillip now and then is needed and I wonder to what extent 'hope' is a more substantial basis for happiness in our lives? It seems to transcend most other distinctions arbitrary or otherwise. I think it was John Paul Getty who said that money had nothing to do with happiness - maybe unhappiness, or something along those lines. However, if one's circumstances are such that there appears little prospect of improvement, life is undeniably grim for those with few of life's necessities, and tedious at best for those that have their immediate needs met but still lack purpose. Hope is what makes the worst of situations bearable. However, the overall world view to my mind is not encouraging in this regard, and the brief sense a few decades ago that things were moving inexorably towards a happier, more secure future seem also to have melted away. Andrew Marr said in a TV series he presented a year or so ago remarked that the generation that came out of the second world war were poor (by today’s standards) but had hope of a better world, whereas the current generation, he said, were materially much richer by comparison but equally, far less hopeful. I agree with the concluding section above that it is about what we can do as individuals and in our work to make a difference, but I also think we should recognise in our history, our evident limitations to bring about a better world. A solid basis for hope to my mind is the elusive ingredient of our time such that any sense of wellbeing without it is qualified in relative terms. Like many in HMRC, I lost my sense of well-being when an arbitrary and unexplained mid-year PMR marking was imposed on me. I am not trying to crow bar in a reference to PMR where it does not belong, it is highly relevant to my well being. It has been detrimental to my physical and mental health. I have been angry for six months at the way guidance was disregarded and no room for discussion or resolution was provided. For senior management, well being is of no significance when compared to drive to push sufficient numbers of staff into the "bottom 10%".